Product Details - Material- Nylon Ridges, Size-Xtra Large , Suitable- Xtra Large Breeds Dogs. 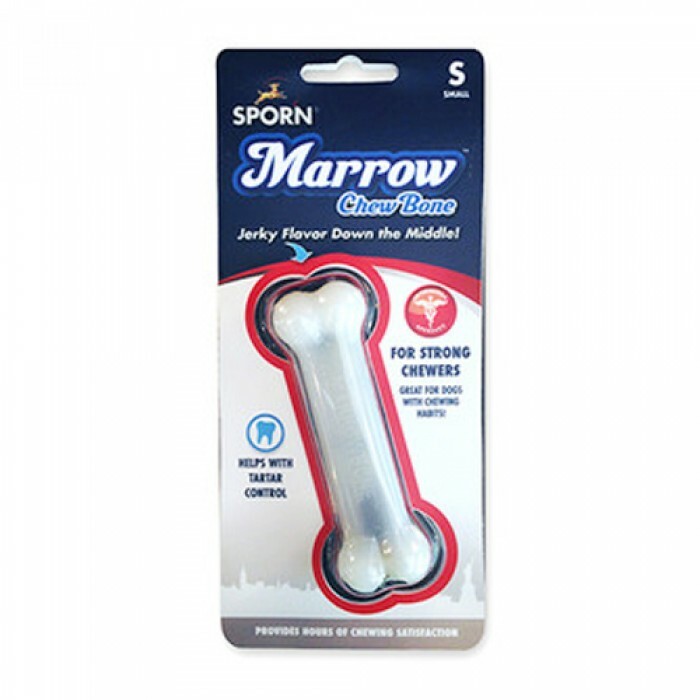 Product Information -Yup Marrow Chew bone Its a chewable bone for dogs they like very much The Marrow chew bone is a durable interactive dog bone with Jerky Flavor Down the Middle that provides hours of enjoyment and chewing satisfaction. Nylon ridges are formed when your pet chews the bone. These ridges help remove tartar by working like a toothbrushs bristles.